Commercial real estate is recognized as an attractive asset class by institutional investors because of its high cash-flow stream, diversification benefits, and potential to hedge inflation. 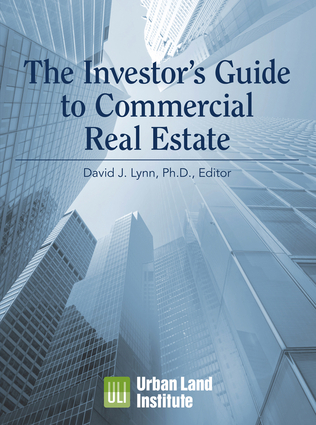 This book is an A-to-Z guide to commercial real estate investing. Written by a team of experts, it offers advice based on their years of experience. It is a hands-on guide for anyone wanting to know more about real estate investing. David J. Lynn, PhD, is CEO and cofounder of Everest High Income Property and previously served as executive vice president, chief investment strategist, and head of portfolio management at Cole Real Estate Investments, Inc. He is well regarded in the industry for his numbers-driven approach and analytical techniques and has been published, interviewed, and written about in numerous national and international real estate, finance, and business media. He is the author of Active Private Equity Real Estate Strategy and the coauthor of Emerging Market Real Estate Investment. He lives in San Francisco.